While this isn’t anything new to those who have seen my second book I wanted to point out that I have a second book – Practical PowerShell Exchange Online. this book was released in March of 2018 after about a year of effort. My first book is also in it’s Second Edition which was released in October of 2017 to the same places as the first edition. Exchange Server 2016 is just the latest iteration of Microsoft’s flagship messaging product. While some organizations are moving to Office 365, a considerable amount of corporations are staying on premises for their own reasons. As such, there is still a need to help those who support Exchange to learn how to advance their PowerShell scripting skills. This book is aimed at those who know some PowerShell or are looking for ways to make their scripts better as well as help you become more confident in managing Exchange Server with PowerShell. How to manage Exchange Servers to customize them for your environment. Though the book is focused on Exchange 2016 however most of the examples are usable in previous versions of Exchange or even Exchange Online. In Exchange 2016, PowerShell has become an integral part of Exchange, increasingly so over previous versions (2007 and 2010). 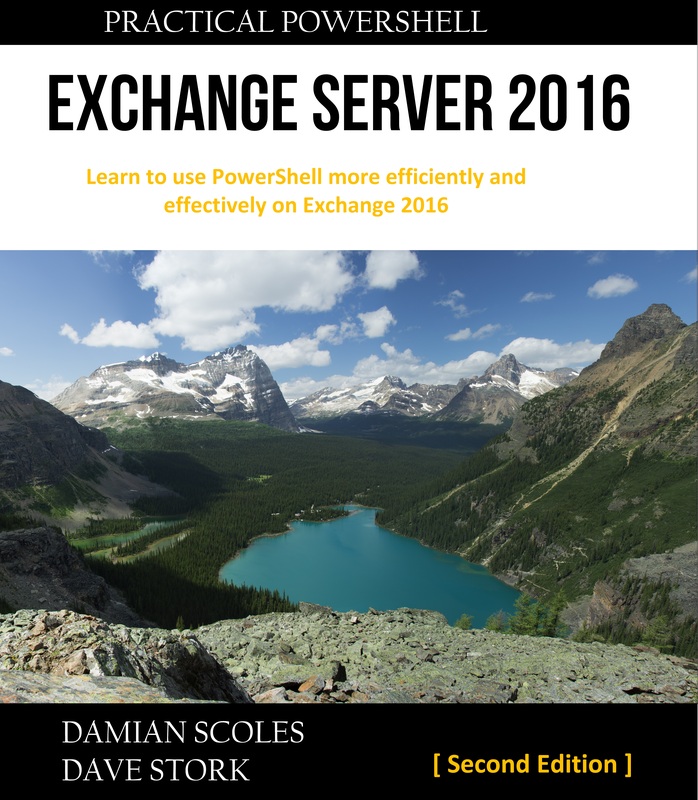 Do more with PowerShell and make managing Exchange Server much easier.